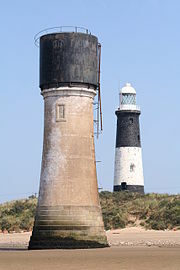 The earliest reference to a lighthouse on Spurn Point is 1427. From the 17th century there are records of a pair of lighthouses being maintained: a high light and a low light. 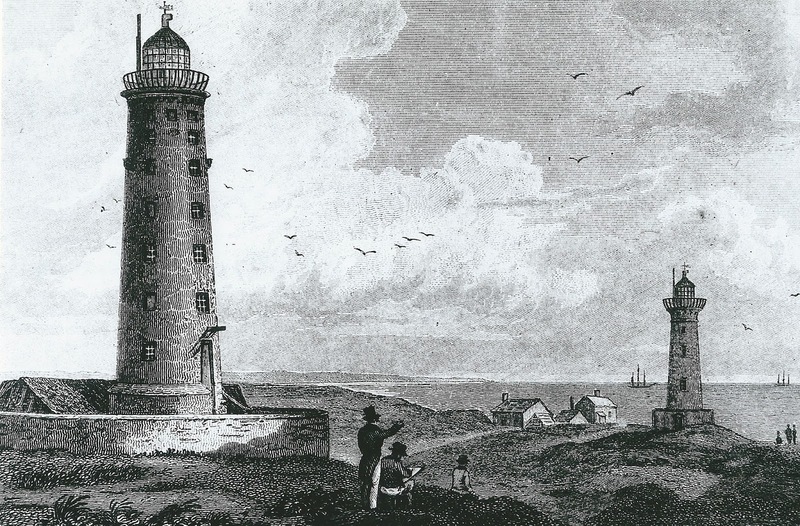 In 1767, John Smeaton was commissioned to build a new pair of lighthouses. Smeaton's high light (a 90 feet [27 m] tower) remained in use until 1895, but there were problems (as there had been in previous years) with maintaining the low light; within a short time it had been washed away by the sea. The 1895 lighthouse is a round brick tower, 128 feet (39 m) high, painted black and white. It was designed by Thomas Matthews. Its main light had a range of 17 nautical miles (31 km; 20 mi), and in addition there were separate sector lights, two of which marked particular shoals or sandbanks, while another indicated the main channel along the Humber. Due to improvements in navigation, the light was discontinued in 1985. 2013, Yorkshire Wildlife Trust was awarded a £470,500 grant to restore the lighthouse with a view to its being reopened as a visitor centre, work was completed in 2016 and is now open to the public.